Nationwide, the real estate market is still making a cautious climb back from a global recession. 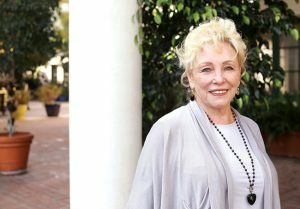 Not daunted, Sanders, owner (along with her two sons) and founder of RE/MAX Estate Properties—with 17 offices spanning Palos Verdes to Beverly Hills, has hired 80 new agents this year. With sales between $50 and $70 million per week, the company is ranked one of the leading real estate offices in the nation, with overwhelming market share in the South Bay. Lucky perhaps, but her self-described “street smarts” and “extremely intuitive” nature surely haven’t hurt. “I have always just kind of known what we should do before we do it,” she says. Those keen instincts could be traced back to learning how to stand on her own feet from a young age. After her father passed away when she was 9, she and her mother, who suffered from epileptic seizures, managed in their small, Deep South hometown of Minden, Louisiana, with no other living relatives to help out. During high school, Sanders met and fell in love with her childhood sweetheart, Glover. After high school, Sanders studied business at Louisiana Tech University, and Glover went off to Texas A&M University to earn an engineering degree. After graduation he returned, and the couple married. With a job opportunity at Union Carbide in Torrance, the couple, their three children and Sanders’s mother, moved to Southern California, where they settled in Rancho Palos Verdes. After the kids started school, Sanders had a lot of time on her hands and felt “unproductive.” Her husband suggested she study to obtain her real estate license. “The secret to real estate is generating leads, staying in contact with people and giving good service. I worked really hard and had a creative fire in my belly,” Sanders says. After eight years in the business, she became manager of the new residential sales division of Montgomery Company in Rolling Hills Estates. Four years later, she became co-owner of RE/MAX Palos Verdes. In 1987 she became the sole owner of two RE/MAX offices on the Peninsula and captured 50% of the PV Peninsula market share. She also acquired 10 local competing real estate companies. 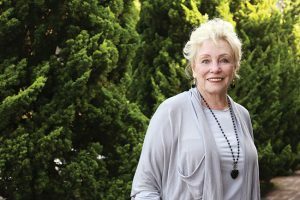 With the help of her sons, James and John, she extended their service area to the Westside, and renamed the company RE/MAX Estate Properties. Upon Glover’s retirement from Union Carbide, he went to work in her accounting department until his passing in 2009. Son John currently works as executive vice president. As a broker and co-owner, son James oversees all offices, while Sanders’s daughter, Diane, plans company events. “We’re an all-in-one dynasty and get along extremely well,” Sanders says. Together Sanders and her family have grown the company to 600 agents and $3 billion in sales. In 1990, Sanders started an independent escrow company, Peninsula Escrow. She is also a partner in Progressive Title Company, which services Los Angeles County. According to daughter-in-law Julie, Sanders’s unselfish nature makes everyone feel like a part of the family. “I have known Sanders for 30 years. She is loyal and generous with her time, talents and means to anyone with a need—whether they ask for help or not,” Julie says. When Hurricane Katrina devastated New Orleans in 2005, she challenged employees to raise money for recovery efforts. They donated $35,000, which she matched. She then encouraged her husband to bring Union Carbide employees in on the act, which grew the total to $140,000. RE/MAX Estate Properties donates a portion of each home sale to Children’s Miracle Network. Through the years, it has also fed 4,000 people at Thanksgiving, regularly donated toys to children at Christmas and Easter, and hosted a children’s petting zoo. Recently, good friends Harv and Ruth Daniels began speaking to Sanders of their involvement as Patrons of Torrance Memorial Medical Center. Ruth, a former employee of Sanders’s, invited her to attend the Holiday Festival Fashion Show. It was there that she took notice of the new Main Tower construction. A hard-hat tour led to a greater appreciation of its new, modern facilities and convinced her to become a Patron. Sanders is a long-time supporter of the Norris Theatre, having served on the board of directors for six years. 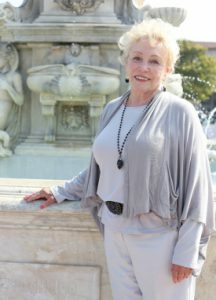 She has also served on the advisory committee of the YWCA and has supported PV Art Center, Rainbow Services, Marymount College, Children’s Hospital, and the fundraising campaign to build the new St. John Fisher Catholic Parish in Rancho Palos Verdes. No longer selling real estate, Sanders now devotes her energy to growing her business, as well as spending time with her seven grandchildren and one great-grandchild. She also enjoys traveling, river rafting, skiing and golfing (she recently made a hole-in-one at Harbor Park). Although in one of the most desirable and competitive real estate markets in the country, Sanders doesn’t concern herself with her competition. Instead she looks forward, relying on the instincts and Southern values that have served her in good stead. For Sandra Sanders, it’s a down-home recipe that continues to prove successful—both in life and in business.